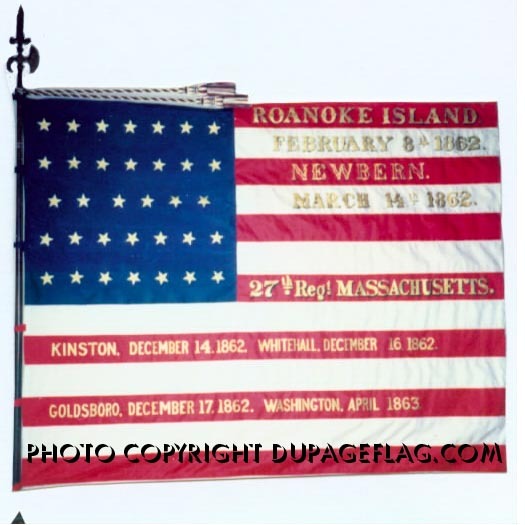 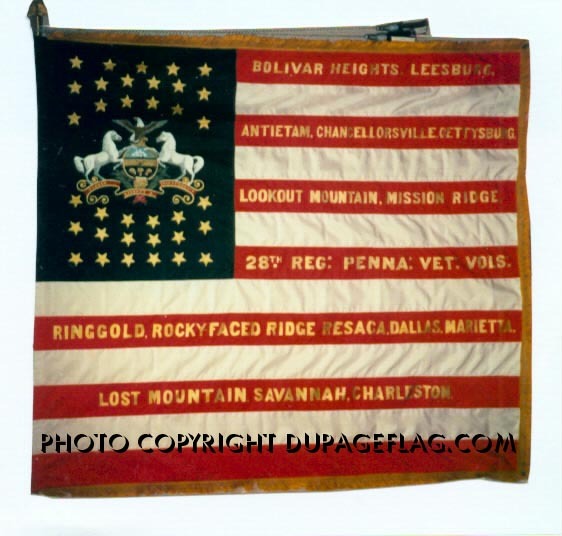 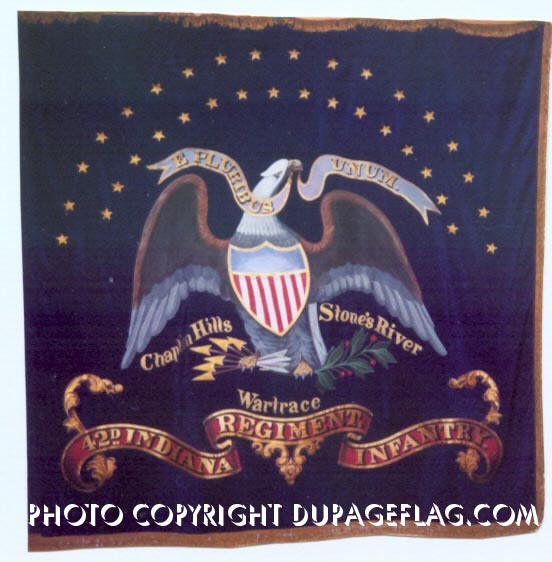 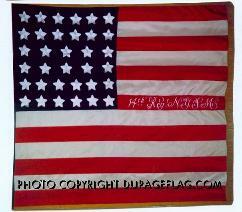 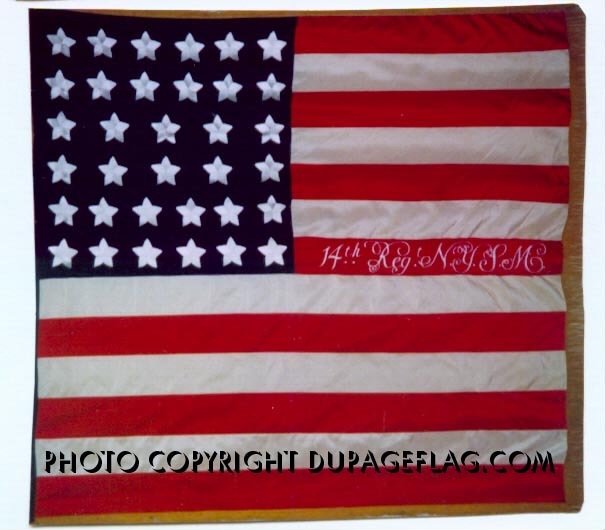 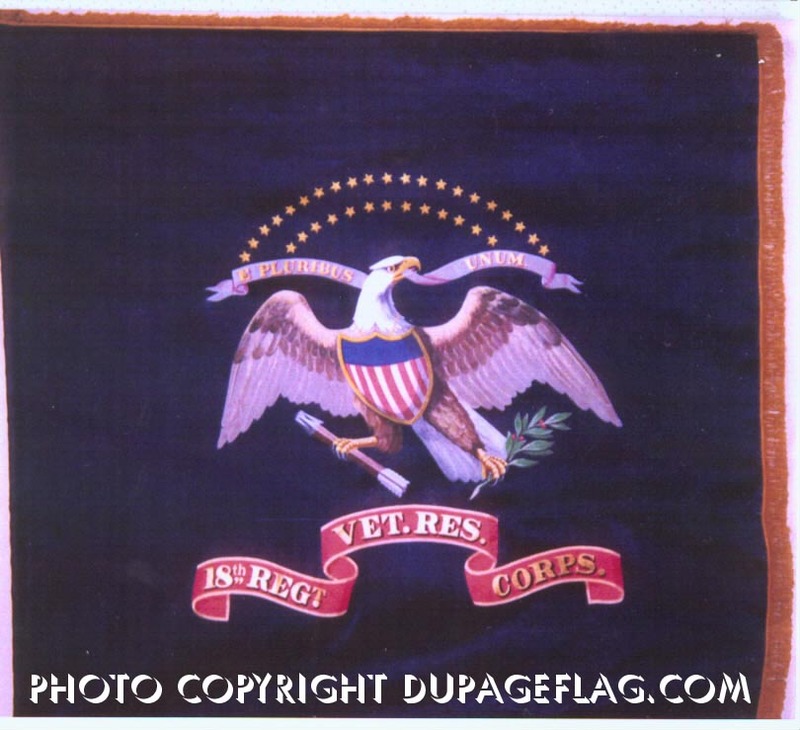 DuPage Flag reproductions of national colors as made by 3 major manufacturers in the Civil War: Pennsylvania "state color" made by Evans and Hassel Co of Philadelphia; small 1861 national made by Charles O. Eaton of Boston, Mass; embroidered national color made by Tiffany's of New York. 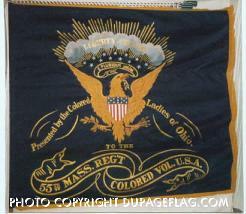 Reproductions of regimental colors produced by: Horstmann Bros. of Philadelphia; various contractors to NY QM Depot; Shilleto Co of Cincinnati. 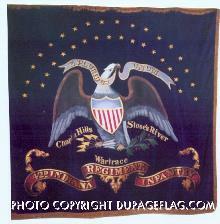 The eagle and stars on original Shilleto were embroidered, the scrolls, cloud, and sunburst painted. 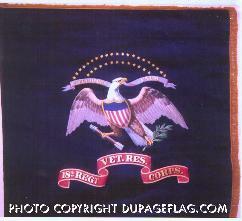 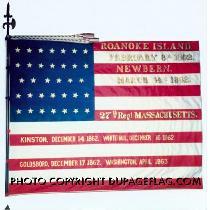 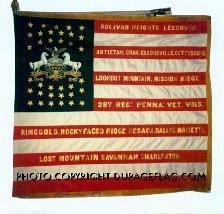 This is a painted reproduction that mimics the appearance of the original embroidered flag.